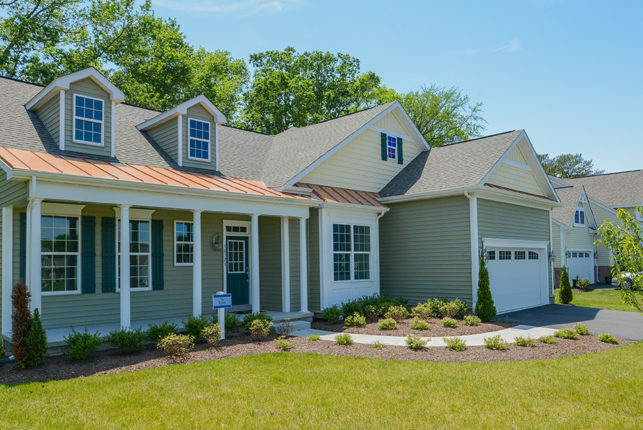 Nestled on 12 acres in Lewes, Delaware, Egret Estates is a unique community of luxury, customizable single-family homes. Egret Estates offers its homeowners the best of both worlds: the quiet serenity and privacy of living in the country, and the convenience of indulging in shopping, dining, and beaches that are just minutes away. Egret Estates home models and floor plans offer unfinished basements, 3/4 acre lots, and more. Our homes for sale in Lewes, DE offer everything you need. Egret Estates community members enjoy a variety of standard features in their homes including private wells and private septic. Immediate Delivery $362,800 2,100 sq. ft.
Find out how to locate Egret Estates.